(Free Press Release) Kansas City Urology Care, the premier center for urology care now announces a new feature named Online Patient Portal which gives 24-hour online access to the patient to assess their medical information. Overland Park, Kansas (newpressrelease) December 29, 2017 - The Online Patient Portal designed by Kansas City Urology Care is a secure, online service providing patients of Kansas City Urology Care with personalized access to their medical records. The spokesperson proudly stated, "This free service offers convenient, 24-hour access, allowing you to manage your care and receive information about your health and treatment when the time is right for you." Kansas City Urology Care, the premier Kansas City cancer treatment center has now come up with this feature which allows the patients to manage their medical records from the comfort of home. While explaining the security feature of this tool, the spokesperson commented, "Patient Portal passwords are encrypted and URLs are re-written so that they cannot be copied and pasted. 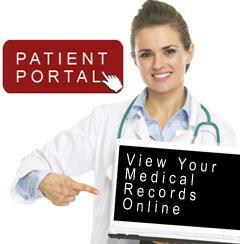 You and authorized family members are the only ones who can access your Patient Portal. Also, a timeout feature protects your information if you leave the Patient Portal page open." At Kansas City Urology Care, the physicians have the combined skill and experience to bring the highest quality urologic care. All their physicians are expertise in providing minimally invasive treatments for diseases of the prostate, urinary infection, pediatric concerns, kidney stone removal, and all other urologic concerns in multiple locations across the metro area. The spokesperson finally concluded the meet by stating, "Our physicians and staff are dedicated to treating patients with compassion and respect and it is our goal that every patient feel better physically and emotionally. As a team of certified urologists, we provide both surgical and medical services for conditions that affect the genitourinary system of both men and women, adult and pediatric patients. We invite you to review the information provided in the website and we look forward to serving you in the future"